The 22nd of April it was my birthday, but it was a very normal day considering that I had to go to school. A curious fact is that this day is also the Day of the Earth, and a day before a very special date in Catalonia, St. George's Day. But that's not the story I wanted to explain. Since the past two years we celebrate birthdays with the condition that the person who's celebrating can't organize a thing. Although we always end up doing the same party to each person, we love to be reunited and to dedicate the day (and night) to one person that we apreciate. Nevertheless, turning eighteen is a big deal for us, so the party has to be even more especial. I must say, that although it was suposed to be a surprise, I was expecting something but I had no idea what would be and how they were going to fool me. That weekend, my boyfriend dragged me into the sports centre because it was his last basketball match. My firsts thoughts were that then we would go to a restaurant and perhaps the others will also be there, but it wasn't the case. While Xavier's team was being terribly defeated, his mother told me that they had a dinner planned already. So when the match ended, they brought me home. As I was entering, my mother through the doorbell speaker ordered me to bring water bottles upstairs (a task that I usually do). And when I opened the garage door... Surprise!!! All of my friends were there. They had decorated the garage and they build a big table to eat. Then we played ping pong and we did funny photos with accessories that they made. After eating an amazing cake we went to Barraques in Figueres. The next day, I celebrate it by doing a family lunch, and everyone came basically for the fact that Xavier was also coming and they are really noisy! That day I recieved the best present I had in my life. Without exagerating. My mother made me a scrapbook of my life and it's the most toughtful present ever. The hours she spent doing it! Since Easter! The reason she made it is because since I could draw I have been giving postcards to everyone (and for every ocasion) however I didn't recieved any (except the ones that came from my cousin, who's an artist making them!) and I always told her that I would really like if someone made me one. 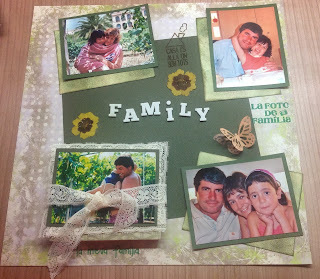 At the end of the Scrapbook it says "Every page is a postcard", so I guess that now I'm not able to complain anymore! Els Amics de les Arts is a pop catalan band well known in Catalonia. And this year they celebrate their 10th anniversary. Although I haven't been following them since 2005 (I was too young to be able to know who they were) I have been listening to their music since 2008-09, when I discovered a song that I still love, called L'home que treballa fent de gos. I think that I know the lyrics of each song that they have. I love their way of making music. Each song has a story, and every story is weird in a funny way. Even the ones that talk about love! Appart of the lyrics, I also love the musicality of the group, they are not affraid of using a lot of instruments. You can see their evolutions through their CD's, perhaps their style is more mature, but you can recognise from a thousand miles away a song from them! Another thing to have in consideration is that they are quite normal people. You can relate to them, and their concerts are really, really funny and magical. There's an anecdote related to them that I will always remember: one day, we were in maths class doing a very mecanical and long exercise, we had to do graphics, and suddently, out of the blue, someone sung out loud a single random sentence from a song made by the band. Then, another person followed him with the next sentence, and then another person popped out singing the following part. We weren't bothering anyone, and sharing songs that you love with people who also love them was a very magical experience. The songs are that easy to follow that it's almost impossible to not doing it! I apreciate a lot their music and almost everyday in our traject to school I sang the songs to start the day with energy. Here's one of the songs that they made to celebrate the 10th anniversary. It's called Els amics s'ajuden amb tot. In my opinion, it's the weirdest video that they have ever made. But I really like it! Also, L'home que treballa fent de gos (a very apreciated caracter for the fandom) also has an appearance which I find very hilarious! Peaky Blinders is one of my favourite series of all time. I'm not going to say what the plot is about (I don't want to spoil anything) but I can assure you that it's full of surprises and adrenaline. If you love series that are set in the past and in Britain, and with no love stories (well, there are some) you'll love this one. 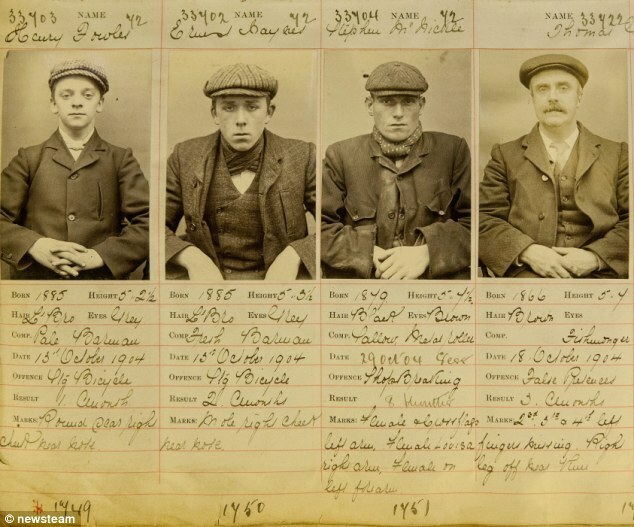 The Peaky Blinders were a criminal gang from Birmingham and the series is inspired by them. The scenography is very elegant, every detail is perfect. But what I love the most is the cockney accent that some of the main characters have. I'm used to listen to the typical accent of English, and the first time that I watched the series I couldn't stop laughing. I relate the cockney accent to a very very very Catalan farmer. Despite how it sounds, I found it very difficult to understand! In an old post of mine I write about a movie called Inception, Two of the actors who played in Inception (Cilian Murphy and Tom Hardy) are also in Peaky Blinders, so I cannot ask for more. Although it's in the past, the women that appear in the plot have a lot of protagonism, and they are as tough as the men. I suppose that the series is also defending the rights of the women, because I don't think that in that time women were treated like in the series.